Directly across the street from Barefoot Landing is one of the most amazing resorts on the Grand Strand - Ocean Creek Resort. Ocean Creek consists of 75 acres of condos and villas in every price range and type. From oceanfront to rustic cabin lodging, you'll find it all, and in the middle of a lushly landscaped, gorgeous compound with lakes, ponds, and channels everywhere. There are tennis courts, fitness facilities, stores, restaurants, golf cart rentals, and private beach cabanas for the owners and guests. Come to Ocean Creek Resort and you may not every want to leave home! You're a golf cart ride away from Barefoot Landing with restaurants, boutiques, live shows and entertainment. Next door to the entrance of Ocean Creek is the Cracker Barrel restaurant that offers home-style cooking for breakfast, lunch and dinner. The Myrtle Beach Mall, a Super Wal-Mart, and Tanger Outlets are less than three miles away. Ocean Creek is the ideal location for everything that North Myrtle Beach, and Myrtle Beach has to offer! There are the two fantastic 15-story oceanfront towers at Ocean Creek. You'll find one, two, and three bedroom luxury condos with every modern amenity complemented by amazing ocean views. The condos include gourmet kitchens, top of the line appliances, and spacious rooms with private balconies and designer furnishings. Pools and spas overlook some of the most scenic parts of the beach and salt marsh you'll find anywhere along the Grand Strand. These are truly luxurious condominiums are the perfect neighborhood for your next vacation home or rental income property. 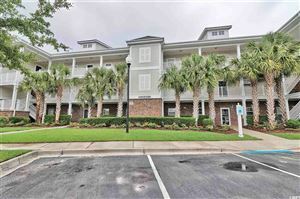 As the #1 selling real estate agency along the Grand Strand, RE/MAX Southern Shores agents can assist you with purchasing a condo or investment property at Ocean Creek that is suited to your needs. RE/MAX Southern Shores’ reputation has been built upon unsurpassed customer service skills and long-term client relationships resulting in “clients for life.” RE/MAX Southern Shores agents focus on YOUR wants and needs related to the home buying/selling process. Contact RE/MAX Southern Shores at 843-249-5555 regarding any of the Ocean Creek or Grand Strand MLS listings. One of our expert agents can assist you in the buying aspects of real estate transactions by providing you with detailed information for any listed real estate. If you love the serenity of beach living and want one of the best luxury condos on the oceanfront, Ocean Creek is the ideal North Myrtle Beach condo for you. Contact RE/MAX Southern Shores today at 843-249-5555 to talk with an agent about making Ocean Creek your next home!